Now that Thanksgiving has passed, we can now look forward to December and all the holiday fun included in this wonderful season. Indianapolis, IN is a city of tradition and the holiday season is no exception. Create new memories and start some new traditions this year. 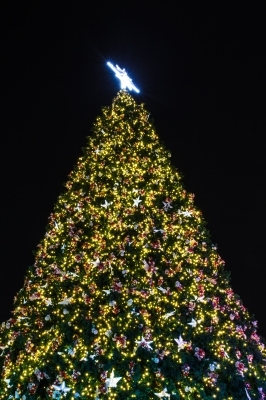 We’ve included some of our favorite holiday attractions and traditions for your enjoyment. IPL Yuletide Celebration. A beloved tradition returns in 2014 with renowned opera star Angela Brown and Broadway sensation Ben Crawford as co-hosts for the IPL Yuletide Celebration. Join in the tradition with the Indianapolis Symphony Orchestra. Several showings through December. Christmas at the Lilly House. On the grounds of the Indianapolis Museum of Art sits the beautiful American country house, the Lilly House. Explore the holiday season of the 1930s and 1940s and witness nearly a century of holiday tradition first hand. Now through January 4th, 2015. Jingle Rails. At the Eiteljorg Museum of American Indians and Western Art is the Jingle Rails – a journey to the Great American West. Over 1,200 feet of railroad is sure to delight both young and old. Seven trains jaunt past local Indianapolis, IN local treasures and historical sites. Now through January 18th, 2015. Circle of Lights. Located in Monument Circle is the Circle of Lights, featuring the world’s largest Christmas tree, complete with over 5,000 lights on top of the Soldiers and Sailors Monument. Now through January 11th, 2014. If you are visiting us in hopes of buying a home in Indianapolis, IN, please contact a Indianapolis, IN real estate agent after your holiday. Our local expertise can guide you to your perfect home. We thoroughly enjoy getting prospective residents familiar with their surroundings and exposing them to the best Indianapolis, IN has to offer. We hope to speak with you soon!